Become a Eurovision Blogger | Apply and Join Us Now! 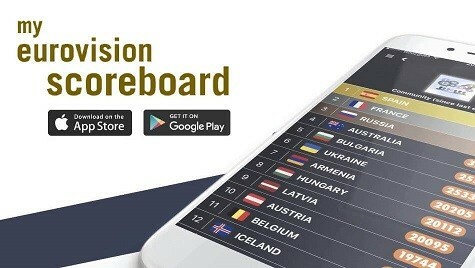 wiwibloggs is a community of more than 40 contributors reporting on the Eurovision Song Contest from around the globe. We’re always looking for new correspondents to join our team. Whether you’re keen on writing reviews, conducting interviews, assessing the latest ESC fashion trends, making graphics, working on social media or simply finding news for us to cover, there are countless ways for you to contribute. Who can join team wiwi? You don’t have to be a professional journalist, photographer or designer. Our contributors are students, consultants, artists, writers, accountants, fathers, mothers, bankers, and human resources executives, among other things. But we all love Eurovision and most of us can string a sentence together in credible English. You must be 18 years or older. You can learn more about our team members on our About page. Can I get press accreditation to Eurovision? The number of spaces allocated to each news outlet for Eurovision is limited. We decide who fills our allocated spots based on a number of factors, including committment to the web site, accuracy of reporting, enthusiasm and availability. Joining the blog is not a guarantee that you will be allocated a spot in the Eurovision press room. However, you will have the opportunity to shape coverage from your country, get to interview your favourite stars, and get accredited for your country’s national final and other events. Yes. As at other professional news outlets, we edit stories for clarity, tone and content. If you’re a diva and can’t handle a bit of constructive criticism, our relationship isn’t going to get off the ground. We offer news with views, so it helps to have an opinion. While we do edit our writers, we don’t censor them. We’re a harmonious team and a close-knit online family. Manners go a long way when getting in touch. Please be nice, as we don’t do nasty. Many people have applied saying they want to write for the Wiwi Jury. We do not accept applications for people who only want to write for the Wiwi Jury. Being a member of the jury requires that you first produced dozens of news stories during the year. Spots on the jury are then earned once you are on the team. Cool. So how do I apply? If you’re still interested in joining, please send us an e-mail telling us a little bit about yourself—where you are, how old you are, what you do when you aren’t watching Eurovision, and why you want to join the blog. Please also send us three story ideas that we should be writing right now and write one of these articles up in its entirity so we can see how you write. Once you’ve done all that, e-mail your stuff to wiwi.bloggs [at] gmail [dot] com and please CC: william [at] wiwibloggs [dot] com. Due to the volume of applications we receive, we regret that we are not able to respond to all enquiries. We’re also pretty slow to respond. If we haven’t come back to you in a month, please feel free to give us a poke.